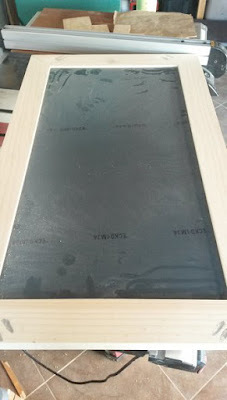 Yesterday, saw me finish the frame for the mirror, firstly I checked that the mirror fitted in the frame, I was either dead on accurate or extremely lucky, there was not 1mm clearance on any side. 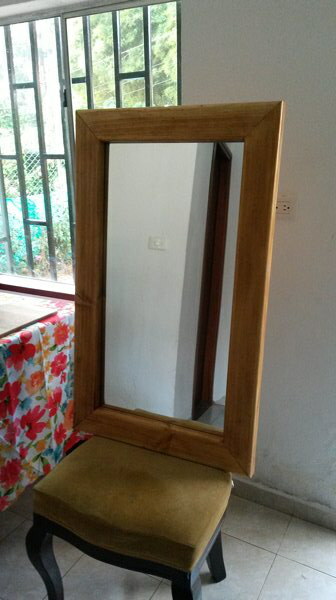 So I carefully removed the mirror again and put it aside, whilst I trim routed the frame with a 1/2" round-over bit, gave it another sanding, then two coats of stain. Last night I replaced the mirror in it's new frame, fitted a 3mm plywood backing, which I cut down from the old frame, and fitted the hanger, another job done!